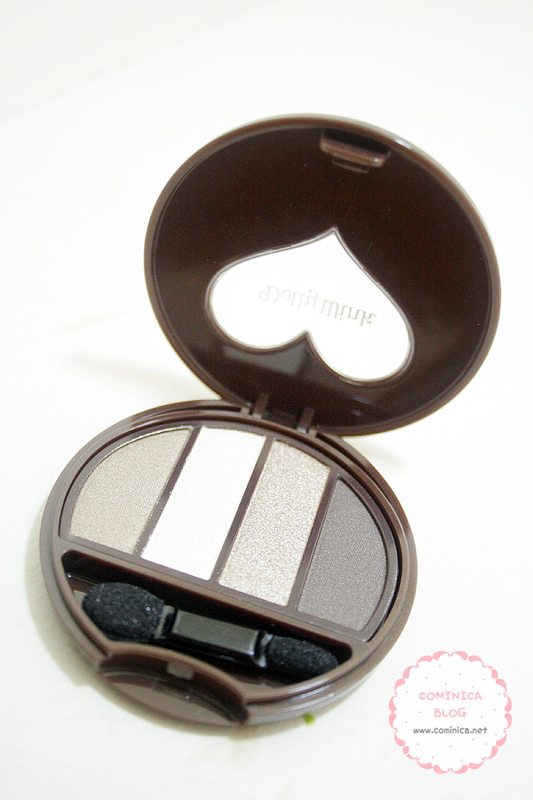 Hello Ladies (≧∇≦)/ , Dolly Wink has released their new Eye Shadow palette. 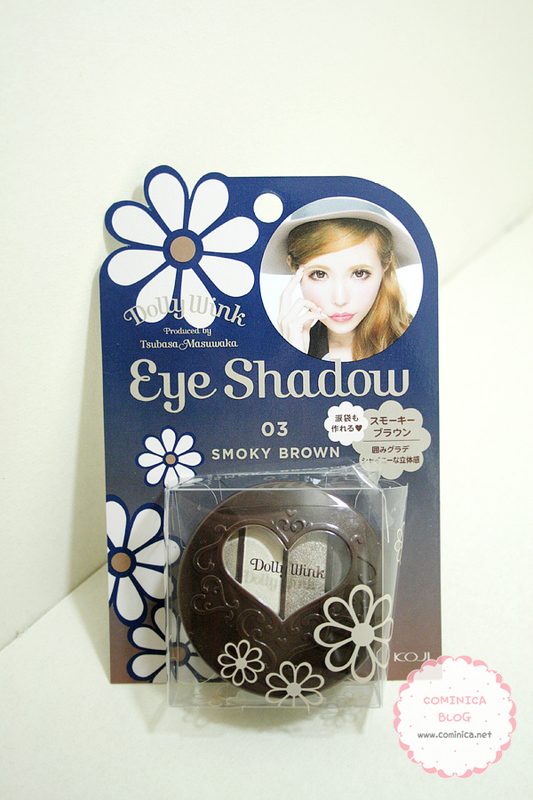 There are two new eyeshadow palette, which are No.02 (Pink Brown) and No.03 (Smoky Brown). Tsu-chan produced two new colors with otona kawaii theme that can make our eyes shine and look chic. 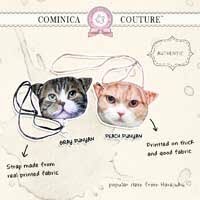 New Dolly Wink packaging theme is Otona Kawaii! You can see a lot of Daisies there on the packaging, hahhaa. It dominated with donker blue color which look mature and calm. 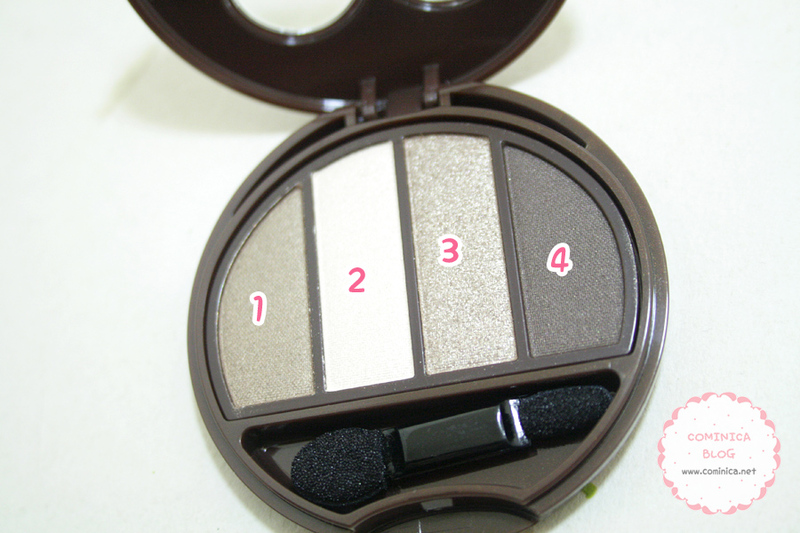 The shape, material and design is SAME like the old Dolly Wink eyeshadow container. It has a round shape which I think look so cute. As you can see, the eyeshadow has 4 colors in it. In addition, also get small eyeshadow applicator. Quality is so-so, quite good IMO and I always use the applicator to apply the eyeshadow. Talk about the pigment, I think no.3 has the least pigment because it look so sparkling. Yeah, it has a lot of glitters which I don't really like . . 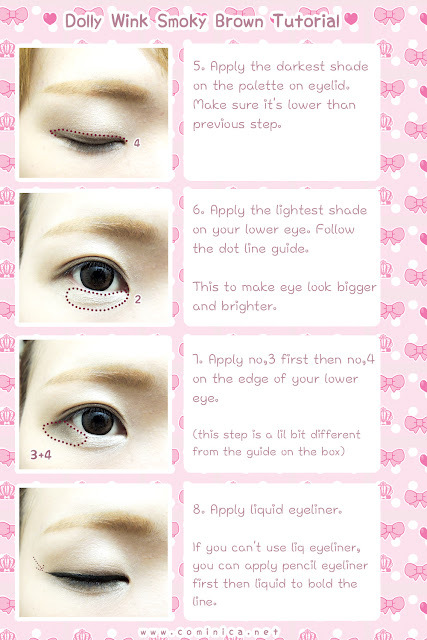 I like the no,1 from the left because it looks so natural when use on my eyes. No. 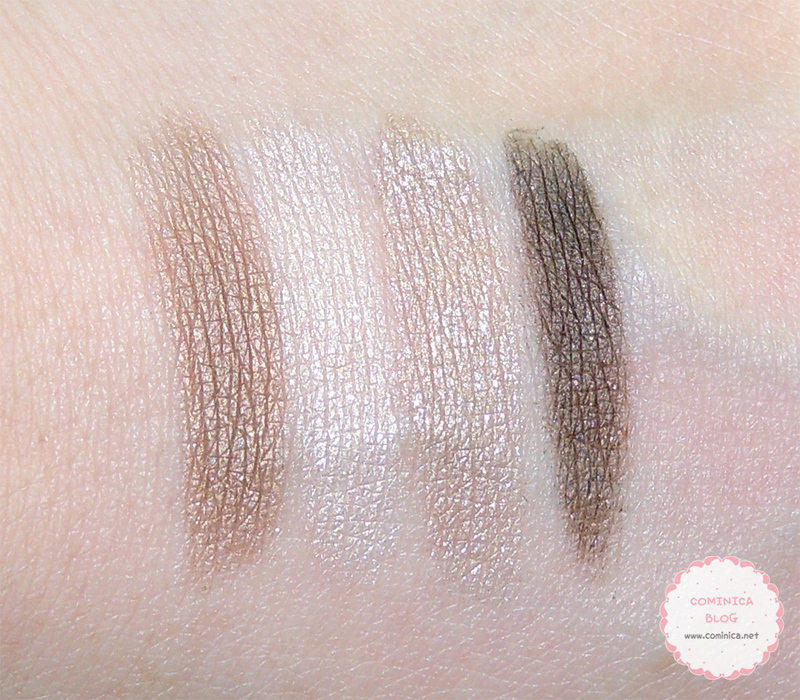 2 is shimmery and the lightest! It looks simply white rather than has yellow tone in it. No.3 has the most glitters from the rest, so it'll look kinda messy if I use it on my eyes. The darkest color no.4, is a warm dark grey color with a hint of brown. It has a little bit shimmer. Without flash, with eyeshadow base (IDK WHY no.1 look different in photo! TT.TT), In real it looks a bit greyish. Dolly Wink eyeshadow has a soft and smooth texture, the result is more like satin with a bit shimmer. 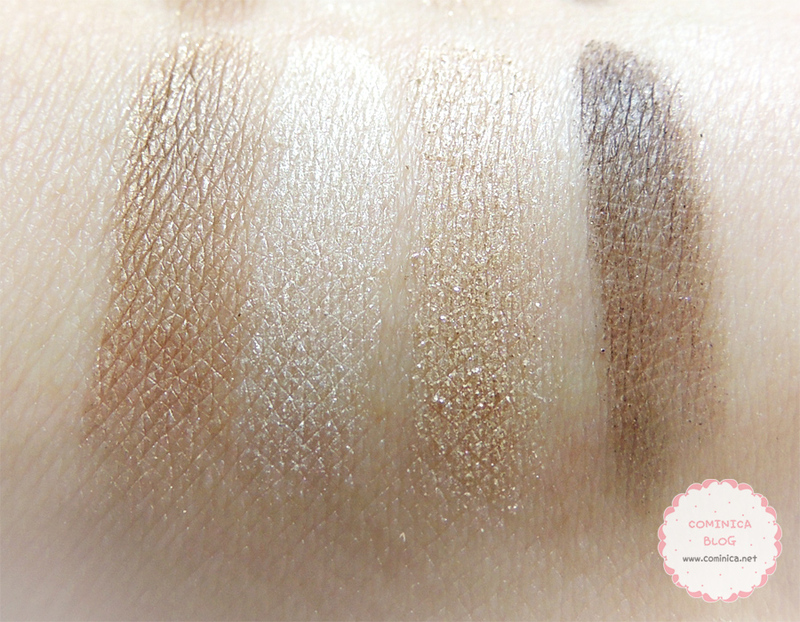 If you're take picture with flash, the eyeshadow would have shine like this below picture. They say this is 3D shine with gold particles, I think it looks so elegant and pretty.
. because of my skin tone, the color didn't look obvious on my eyes. Nevertheless it looks natural so I can use it everyday. 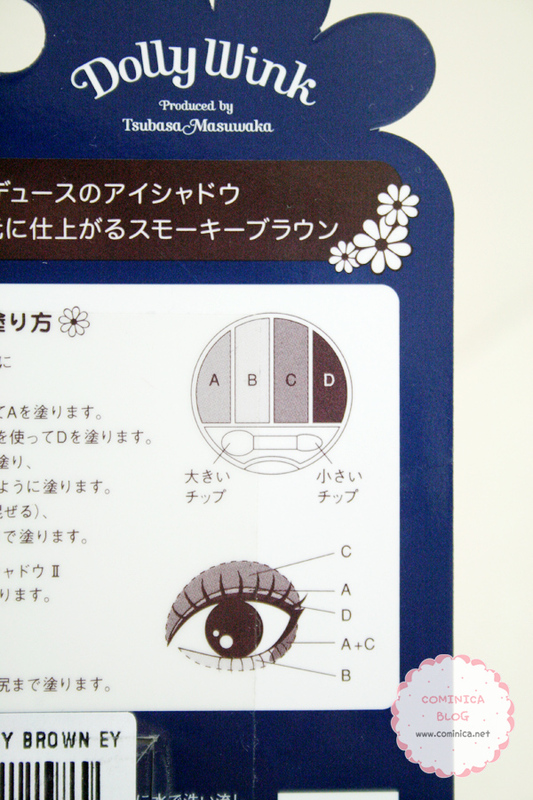 Japanese eyeshadow packaging always has something like this, cute illustration about how to use the Eyeshadow. 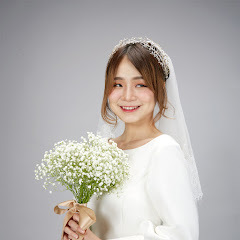 How to create Tsubasa Masuwaka smoky brown look? (゜∀゜)Well, I made a simple tutorial below. Sorry it's not video but picture, I hope you can understand it! disclaimer : 1 or 2 steps may look a bit different from the "how to-illustration" because this tutorial is just how I express it by looking at Tsu-chan's photo. Can right clik new tab to see the real size of this tutorial. Dolly Wink eyeshadow 03 in Smoky Brown | Dolly Wink cream eyeshadow in Gold | Dolly wink liquid eyeliner | Dolly wink volume mascara | Dolly wink eyelash fix | Dolly wink false lashes no. 2 and 5.
i love tsu-chan's palettes >w< the colors looks so pretty! eyeshadow colours look great on you ^^ maybe a bit too shimmery for my liking but I'd love to try it sometime. thanks for the review sweetie!! Your make up look really great!!! Thank you for the tutorial! It was very informative ^-^ The eye shadow looks great!! 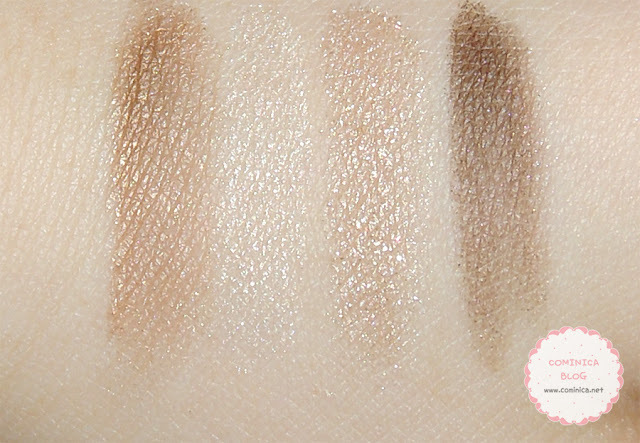 the colors look nice, but for the price, i'd really rather buy the UD naked pallete lol. love your hair, btw! Gosh, you are so gorgeous! Hi, u look so Pretty..
i want to like u..